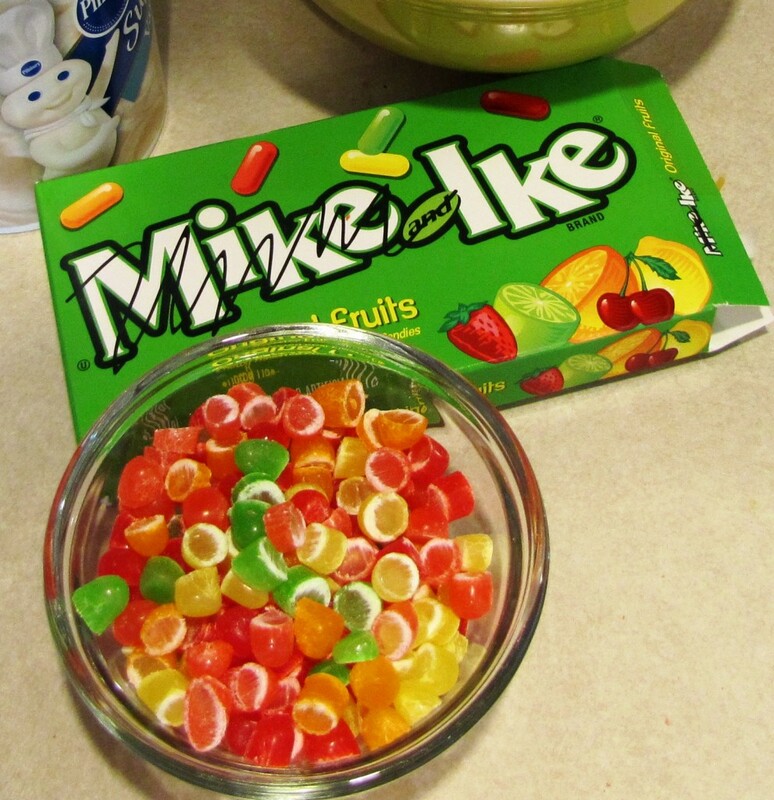 Does Mike know Ike is scribbling him out? While cutting some Mike & Ikes into “ornaments” for sugar-cone trees, I saw some one had taken a Sharpie to poor Mike’s name. I thought maybe a grandbebe, at first, but, no…it seems to be Ike. Meanwhile, sliced into thirds, Mike and Ikes do make cute little “tree” decor.